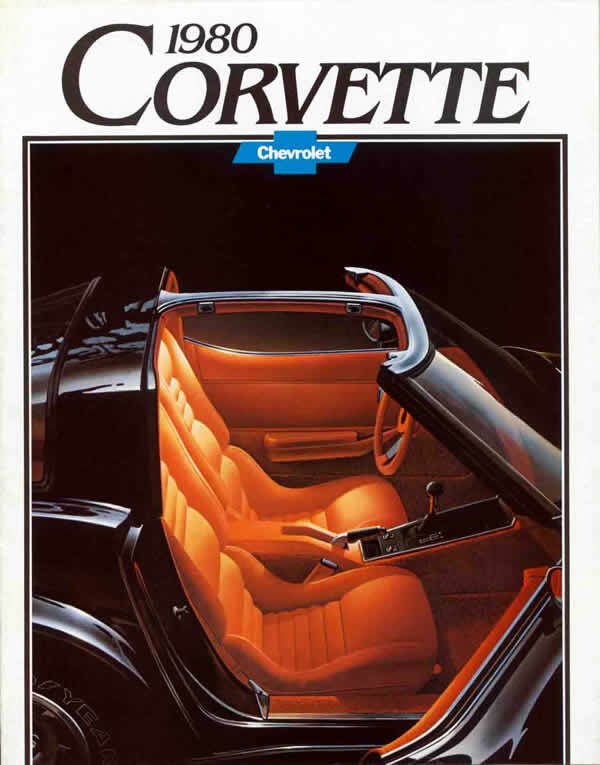 For the 1980 model year, the Corvette’s long-running “shark” body style was substantially redesigned for the third time since its debut in the 1968 model year. The front and rear bumper caps were modified with integrated spoilers that decreased the drag coefficient by 14% to 0.443. Chevrolet engineers also managed to remove 167 pounds of curb weight from the Corvette by reducing the thickness of body panels and using aluminum for more parts. There were two engine options for all states but California, both 5.7 liter/350 ci small blocks with four-barrel carburetors: the standard 190 bhp L48 and the optional ($595) 230 bhp L82. The four-speed manual transmission was only available with the L48—the L82 and the California-only 180 bhp 5.0 liter/305 ci LG4 could only be combined with the three-speed automatic transmission. Fuel economy was 14 city/20 highway by the standards of the day with either 350 ci and either transmission. With the relatively rare (about 12% of production) L82 and automatic transmission combination, 0-60 came in about 7.5 seconds. For the $13,140.24 base price at the beginning of the model year (about $42,800 in 2015 dollars), Corvette buyers got T-tops, power disc brakes, power steering, dual sport mirrors, and a choice of transmissions. Inside, air conditioning, power windows, a tilt-telescopic steering column, an AM/FM radio, and a choice of either cloth/leather or all leather interior were all standard. Exterior and mechanical options included aluminum wheels ($409) and power antenna ($56). Inside, buyers could add power door locks ($140), cruise control ($123), rear window defogger ($109), and dual rear speakers ($52). 1980 would be the last year that the AM/FM stereo radio with 8-track player ($155) would be more popular than the AM/FM stereo radio with cassette player ($173). 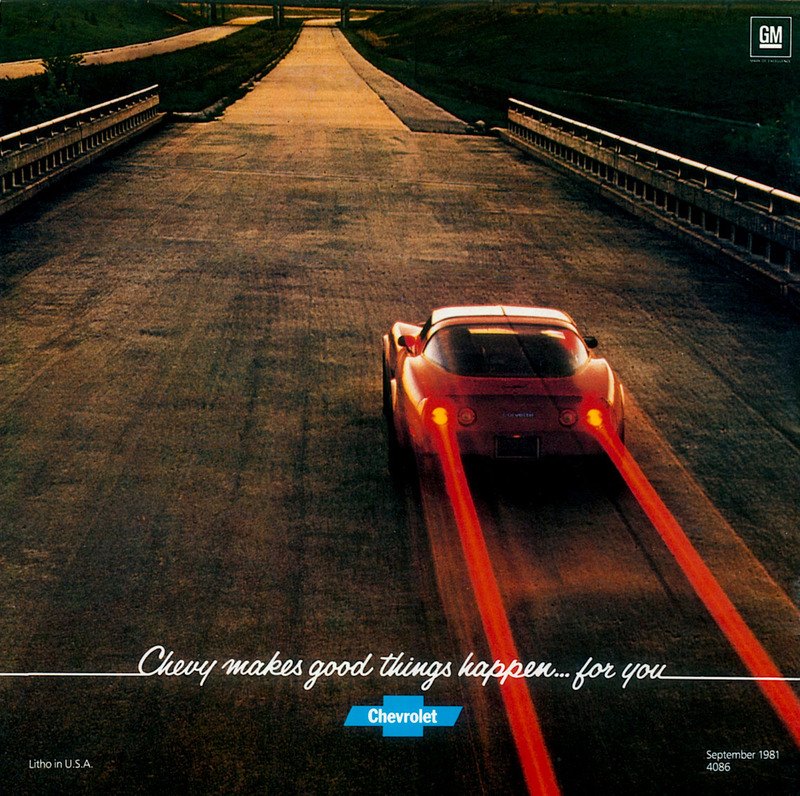 Cover of the 1980 Chevrolet Corvette brochure, linked from the Old Car Manual Project’s amazing brochures section. 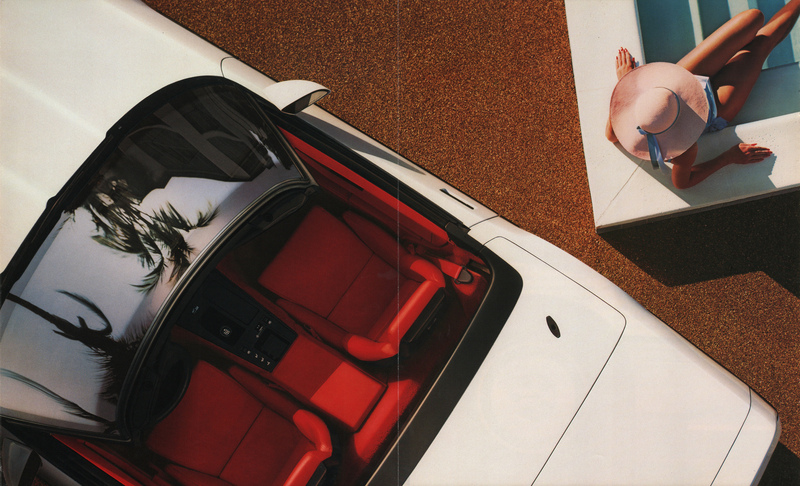 There is strong club support for the 1980 Corvette, as there is for all Corvettes. According to Hagerty’s valuation tools, all the money for a 1980 Corvette with the L82 engine in #1/Concours condition is $30,200, with a more normal L48-engined car in number #3/Good condition going for $13,500. 1980 Corvettes often show up in the Hemming’s Motor News classifieds and on eBay Motors—as I write this in June 2015, there’s a white one with a red leather interior and 67,000 miles available for $14,000. Make mine just like that, please.